South Africa’s coastline stretches from its border with Namibia in the west, all the way around the tip of Africa (not Cape Town but Agulhas) until it reaches the border with Mozambique. Its course includes: the Garden Route, Wild Coast, Sunshine Coast, Dolphin Coast, and Elephant Coast. That’s over 2 500 km of sea washed shores. On much of its uninhabited coast are trails that expose remarkable scenery and connect you with the rugged and untamed in a way that few other experiences can. Most of these are multi-day hikes that entail a certain level of fitness, but many have slackpacker versions, and some can be tailored. 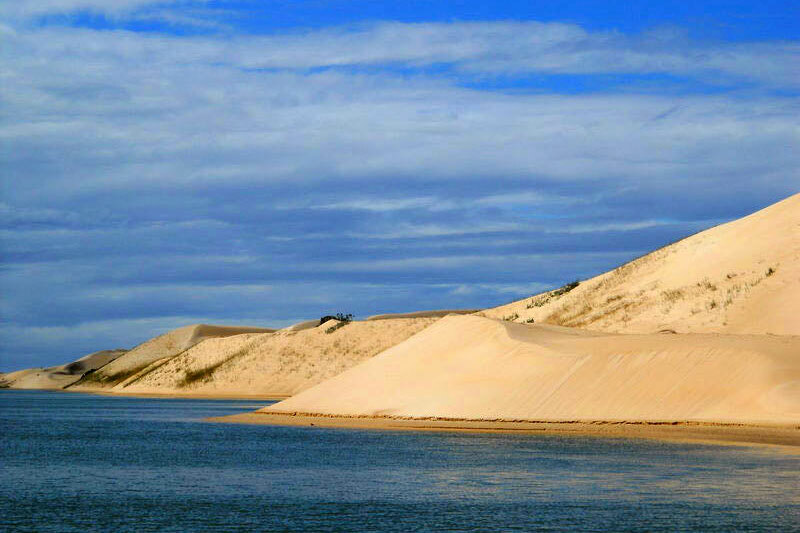 The Addo Elephant National Park has a coastal extension at Woody Cape, Alexandria. This two-day, self-guided, circular hike explores its untouched coastline, following paths through coastal forest, over dunes and along the seashore. It starts at Woody Cape, winds its way through indigenous forest, across the fields of Perdekloof and on to the beach with its dramatic dune fields and gut wrenching scenery. Fynbos, clifftop coastal forest, further shifting dune fields and yet more indigenous forest bring the hike to a close. Overnights are in multi-bed huts. Minimum of three hikers and up to 12. Hard work, but beautiful. 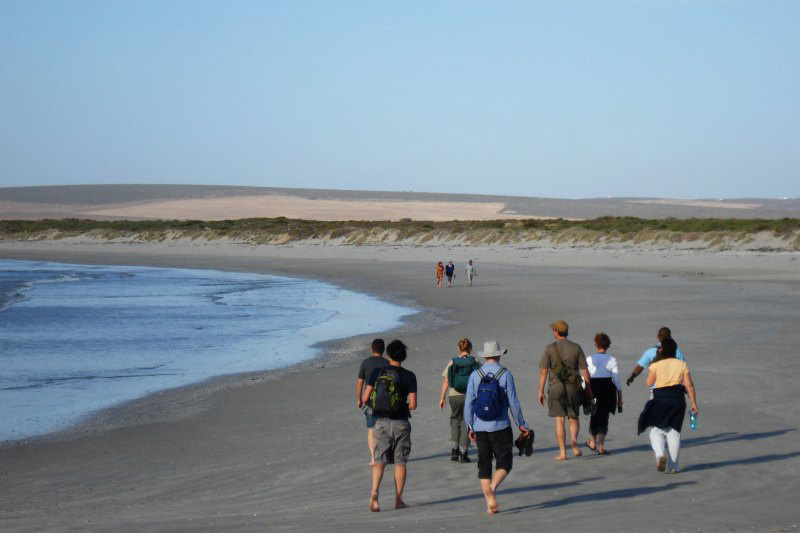 This must-do 38km hike along the beaches between Paternoster and Jacobsbaai is an incredible way to explore a part of the coastline seldom visited.It’s one of three Cape West Coast Biosphere Trails (the others: Eve’s Trail and the Darling Stagger explore other parts of the coastline and are as exciting) and is a pleasure to do (it’s described as ‘gentle’), not least because you carry only day packs as each evening is spent in Paternoster. As it’s name indicates, the trail takes one through five bays including Tietiesbaai, Noord-Wesbaai, Trekoskraal, Hospitaal Baai/ Gonnamanskraal. 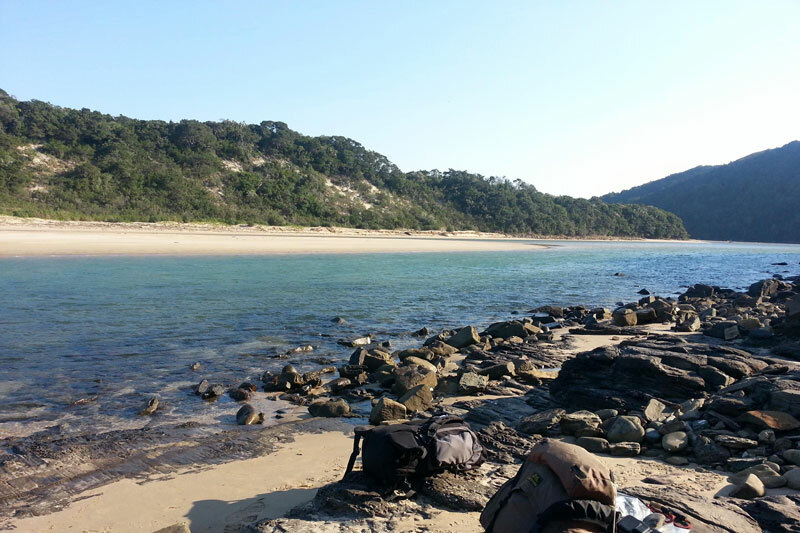 This four-day hike explores the northern section of the iSimangaliso Wetland Park through diverse and beautiful landscape. The landscape is made up of four interconnected lakes and a river estuary. It’s a flexible hike that can be done as a slackpacker and shortened, depending on your needs. But you will walk roughly 17 km a day on isolated beaches, through dune forest and wetlands, and watch local fishermen set fish kraals, or loggerhead turtles come ashore to lay their eggs. 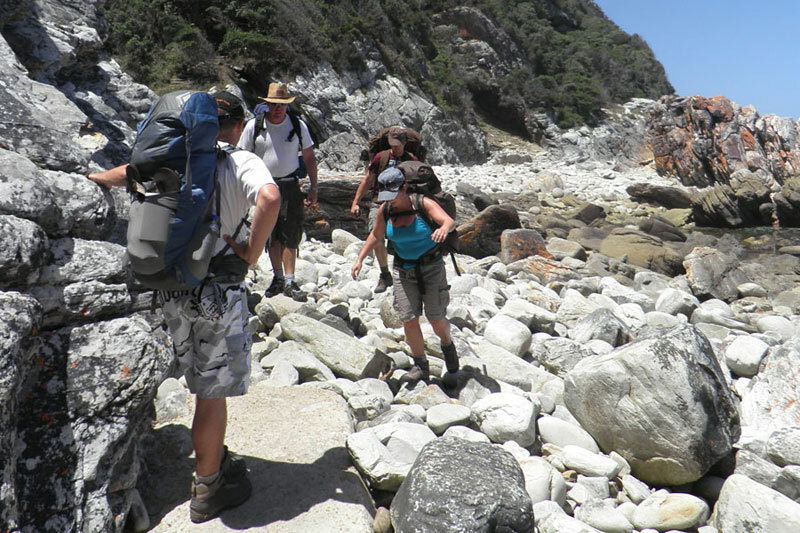 Arguably South Africa’s most famous hiking trail, one that necessitates booking way in advance, the Otter Trail explores the popular Garden Route between Storms River Mouth and Nature’s Valley, in the Tsitsikamma. The five-day hike is fairly taxing (there isn’t a slackpack version)with steep mountain climbs, hairy descents and river crossings that need perfect timing, but it explores one of the most incredible coastlines in the country – the rugged and rocky shoreline one gobsmacking photo moment after the next. Until you’ve got this one under your belt, you’re not a real hiker. 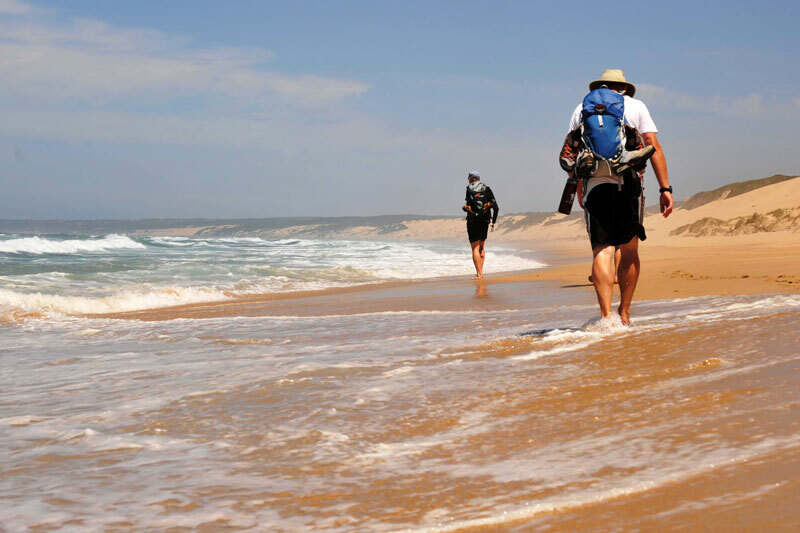 This guided slackpacking Garden Route hike trails the beaches and fynbos west of Mossel Bay. Described as a ‘love affair with nature’, National Geographic rates it as ‘one of the top 50 tours of a lifetime’. There are two versions of the hike: one self-catered, the other catered for. Both involve overnights in good accommodation – this is not roughing it. The daily hiking routes involve about six hours of walking (the oldest person to complete the route was 83, the youngest six). 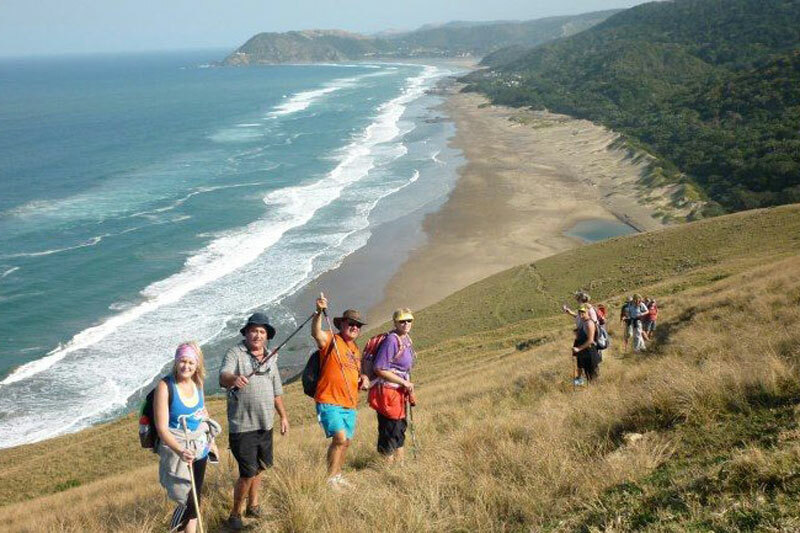 Starting in Msikaba, and finishing in Port St Johns five days later, this virtually undiscovered trail explores the lesser-explored Pondoland – the northern reaches of the Wild Coast with some of the least accessible and most rugged, but scenically incredible, parts of South Africa’s coast. Expect undulating green hills, Xhosa villages, rocky cliff sides and beautiful bays. 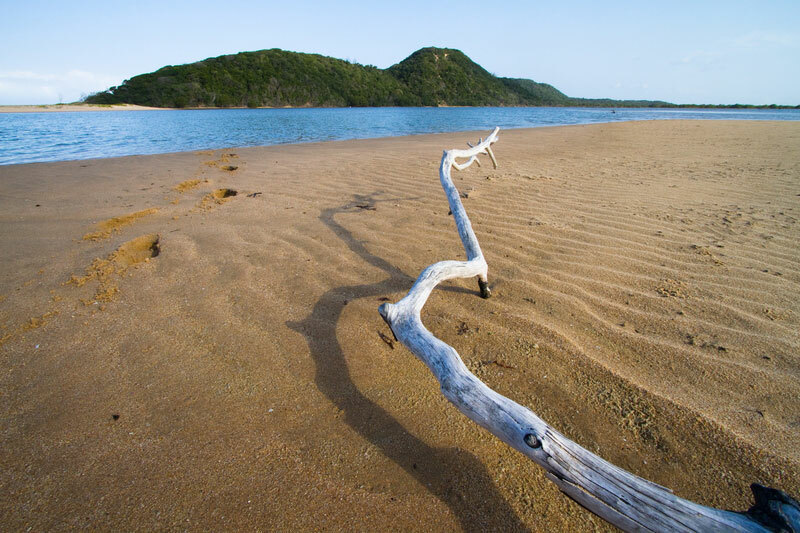 Alongside the trail is the Pondoland Marine Protected Area, the country’s biggest marine reserve, protecting 90 km of coastline that includes the Mkhambathi Nature Reserve. Named for our nomadic tribesmen ancestors, the Khoi and San people, who roamed much of our coastline for hundreds of years, the Strandloper Trail stretches between the Kei River Mouth, just outside Morgan’s Bay, and Gonubie, below East London. It explores the southerly reaches of the Wild Coast for 60 km. Strandloper means ‘beachwalker’ and much of the hike is on beaches. But there are portions that traipse up steep beachside cliffs, cross rivers and head through indigenous forest. The trail is over five days, across unspoilt beaches with lunches and overnights in towns and sleepy seaside villages. This is easily one of the most beautiful coastlines in the country and, in similar vein to the Otter Trail, you will need to reserve your place on the Whale Trail months in advance, particularly during whale season when the sighting of whales just offshore is commonplace. 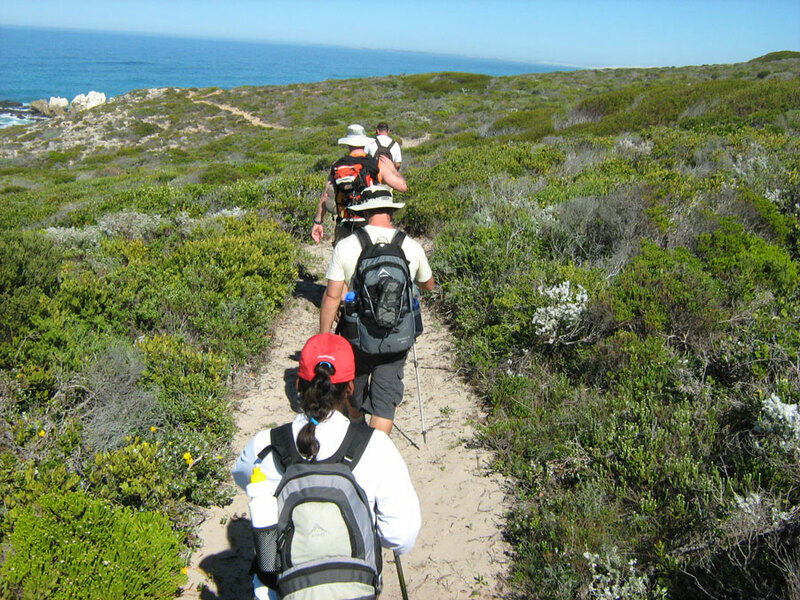 The slackpacker hike takes place in the De Hoop Nature Reserve, one of the world’s most important whale nurseries. There is just the right blend of walking through beach, fynbos, dunes and mountain along 54 km of coastline between Potberg and Koppie Alleen. There are five overnight stops in cottages.